In today’s constantly changing business environment new opportunities and challenges arise every day – often driven through the all present digitalization. Fingar, a well-­known process management expert, introduces “extreme competition” as a result of various market forces, like knowledge as business capital, the internet, “jumbo transportation”, billions of new “capitalists” as well as the new dimension of information technology and, of course, digitalization . To master the resulting challenges and benefit from the opportunities, systematic and well managed innovation has become a core focus area for high performing organizations. 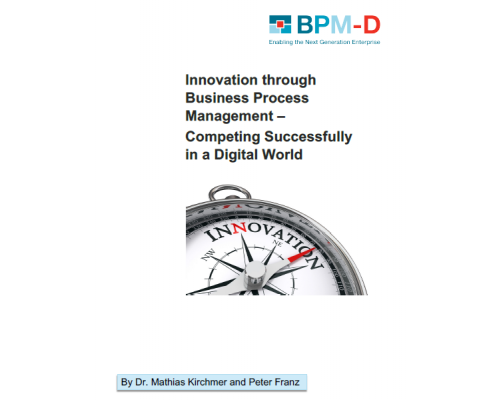 To ensure long-­term survival, an enterprise must make innovation part of its day-­to-­day business. This is often the only way to achieve desired revenue and goals.